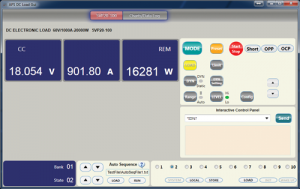 Adaptive Power Systems control software allows full control over your Adaptive Power products from a Windows PC. This includes output programming, measurements, data logging, sequencing of test steps if supported by the product and any other functions and features that are programmable. We also offer instrument drivers for LabView for customer that need to develop their own ATE system using multiple types of test equipment. For detailed product information and specifications, select the software for the relevant product category below. 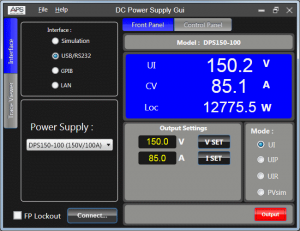 Windows Control Software to control programmable DC Power Supplies. Sets voltage, current and protection modes. 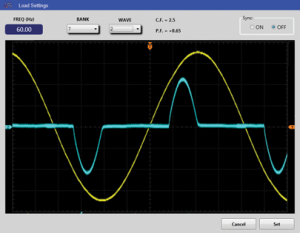 Measures voltage, current and power and displays in large numbers for easy viewing. The APS DC Load GUI controls up to eight modular DC load channels or a single higher power DC load model. All available remote control interfaces are supported. 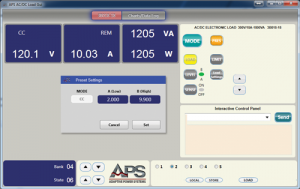 The APS AC Load GUI controls up to four modular AC load channels or a single higher power AC load model. Both AC and DC modes of operation are supported.